Beautiful old love song recreated by Ravi Choudhry and sung by Manisha Dhar starring Ritisha & Pratyush. The video of this song is available on YouTube at the official channel Ampliify Times. This video is of 5 minutes 09 seconds duration. 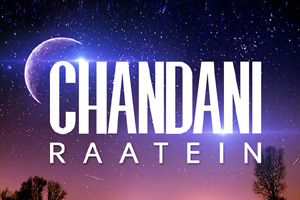 Lyrics of "Chandni Raatein - Reprise (female Version)"
Lyrics in Hindi (Unicode) of "चाँदनी राते - रिप्राइज (फीमेल वर्शन)"